Merck CEO Ken Frazier: Application of Death Penalty Not "Fair and Consistent"
Merck Chief Executive Officer Kenneth C. Frazier (pictured) resigned from the president’s American Manufacturing Council on August 14, saying “[a]s CEO of Merck and as a matter of personal conscience, I feel a responsibility to take a stand against intolerance and extremism.” In a statement posted on Merck’s Twitter account, Frazier said: "Our country's strength stems from its diversity and the contributions made by men and women of different faiths, races, sexual orientations and political beliefs. America's leaders must honor our fundamental values by clearly rejecting expressions of hatred, bigotry and group supremacy, which run counter to the American ideal that all people are created equal." It was not the first time that Frazier, the only African-American CEO of a major pharmaceutical company, has spoken out on matters of social justice. Following his successful pro bono representation of James Willie "Bo" Cochran, a black, Alabama death-row prisoner wrongly convicted of the murder of a white grocery store manager, Frazier wrote that the case showed him that "there can be no fair and consistent application of the death penalty under the current system." Frazier undertook Cochran's representation while a partner at the Philadelphia law firm, Drinker, Biddle & Reath, and remained on the case after joining Merck. Cochran won a new trial after Frazier and his team showed that, in two prior trials, the prosecutor had systematically removed 31 of the 35 potential black jurors because he believed they were less "reliable" and more likely to acquit black defendants. Frazier initially doubted Cochran's proclamation of innocence: witnesses inside the store described the suspect as a black man and, as police converged on the scene, heard a gunshot coming from a nearby trailer park, less than one mile from where Cochran was found with a gun and cash. But Frazier discovered during the post-conviction proceedings that there was no physical evidence against his client, the only bullet recovered near the scene did not match Cochran's gun, and the fatal bullet could not be tested because police had cut it out of the victim's body and removed it before delivering the body to the medical examiner. "He was convicted," explains Frazier, "despite evidence suggesting an accidental police shooting and cover-up." Even though the state only had circumstantial evidence against him, Cochran was tried three separate times for the killing (the first time, there was a mistrial, and the second time his conviction was reversed on appeal). "Although some maintain the criminal justice system is color-blind," Frazier wrote, "the reality is that race plays a substantial role in the judicial process." In Cochran's retrial, a jury that Frazier says "was not selected primarily on the basis of race" acquitted him in less than an hour. Read more about Merck CEO Ken Frazier: Application of Death Penalty Not "Fair and Consistent"
After having previously granted Marcellus Williams (pictured) a stay of execution in 2015 to permit DNA testing in his case, the Missouri Supreme Court on August 15 summarily denied him a new execution stay, despite recently obtained results of that testing that support his innocence claim. Williams—who was convicted and sentenced to death in 2001 by a nearly all-white St. Louis County jury in the highly publicized stabbing death of a former St. Louis Post-Dispatch reporter—presented scientific evidence that excluded him as a contributor to DNA on the knife used to kill Felicia Gayle. Williams had filed a motion in the state court to stay his scheduled August 22 execution, along with a petition seeking the appointment of a Special Master to hold hearings on his innocence claim. His petition was supported by reports from two DNA experts who had determined that DNA evidence on the knife did not match Williams or Gayle, but came from an unknown third person. One expert concluded that Williams "could not have contributed to the detected [DNA] profile" and the other found "a clear exclusion of Marcellus Williams from the knife handle." The petition alleged that the "physical evidence collected from the crime scene”—which included fingernail scrapings from the victim, who had been stabbed more than 40 times—“did not match and could not be linked to" Williams. Williams was convicted and sentenced to death based on the testimony of a jailhouse informant and a prostitute who was an admitted crack addict. He has never been provided an evidentiary hearing on the DNA results. The Missouri Supreme Court denied his petition without any written opinion within one day of its filing, and before Williams had an opportunity to respond to the State's opposition. Kent Gipson, one of Williams's lawyers, said the defense plans to seek review in the U.S. Supreme Court. "It certainly would give most reasonable people pause to say, 'Should you be executing somebody when you've got reasonable evidence suggesting another man did it?,'" Gibson said. 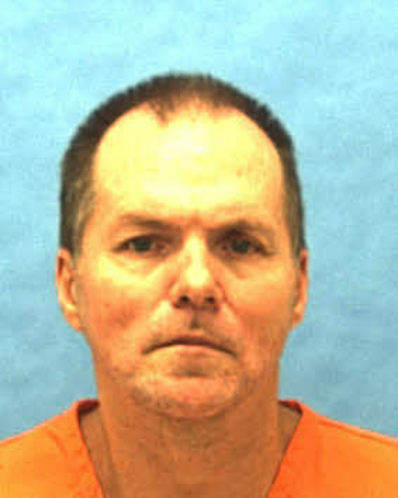 Williams also has a case pending in federal court arguing that he should be permitted to re-open his habeas proceedings because he can show he is innocent; he was denied relief in the federal district court and is currently appealing that denial to the U.S. Court of Appeals for the Eighth Circuit. 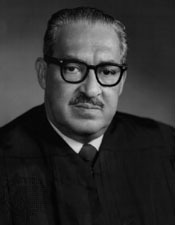 In earlier federal habeas corpus proceedings, the district court had overturned Williams’s death sentence, finding that his trial lawyer had failed to investigate and present significant mitigating evidence relating to Williams’s history of mental deficiencies and chronic abuse throughout his childhood. That decision, however, was reversed by the Eighth Circuit in a split 2-1 decision. Williams had also previously raised a claim alleging that St. Louis County prosecutors had a pattern and practice of striking black prospective jurors, including 6 of the 7 African Americans it had the opportunity to empanel in his case. An Arizona death-row prisoner has petitioned the U.S. Supreme Court to review the constitutionality of the state's capital punishment statute, arguing that Arizona's sentencing scheme "utterly fails" the constitutionally required task of limiting the death penalty to the worst crimes and worst offenders. On August 15, lawyers for Abel Daniel Hidalgo (pictured) wrote that a study of more than a decade's worth of murder cases from Maricopa County, where Hidalgo was tried, showed that aggravating factors that could make a defendant eligible for the death penalty were present in 99% of all the cases. This, they say, violates the Eighth Amendment requirement established by the Court that a capital-sentencing statute must “genuinely narrow the class of persons eligible for the death penalty.” They wrote that evidence presented to the Arizona state courts showed that "every first degree murder case filed in Maricopa County in 2010 and 2011 had at least one aggravating factor" that made a defendant eligible for the death penalty, and that over the course of eleven years, 856 of 866 first-degree murder cases filed in the county had one or more aggravating circumstances present. In a press statement, Hidalgo's defense team says that, as a result, "geography and county resources—rather than the characteristics of the offender or the crime—play an outsized role in Arizona’s arbitrary application of the death penalty." With the fourth largest death row in the U.S. as of January 2013, Maricopa County imposed the death penalty at more than double the rate per murder as the rest of the state, and its 28 death sentences imposed between 2010-2015 were the third most of any U.S. county. Hidalgo's petition notes that defendants of color accused of killing white victims "are more than three times as likely to be sentenced to death as minorities accused of killing other minorities ... [a]nd a Hispanic man accused of killing a white man is 4.6 times as likely to be sentenced to death as a white man accused of killing a Hispanic victim." This, they say, makes Arizona's death penalty unconstitutionally arbitrary. In the alternative, the petition argues—citing national legislative and sentencing trends—that the death penalty nationwide now offends "evolving standards of decency" and should be declared unconstitutional. The lawyers write, "[t]he long experiment ... in whether the death penalty can be administered within constitutional bounds has failed. It has failed both in Arizona in particular and in the Nation more broadly." Lynching has long been regarded as a regional phenomenon, but in an updated edition of its landmark 2015 report "Lynching in America: Confronting the Legacy of Racial Terror," the Equal Justice Initiative (EJI) has now documented more than 300 lynchings of African Americans in states outside the Deep South. 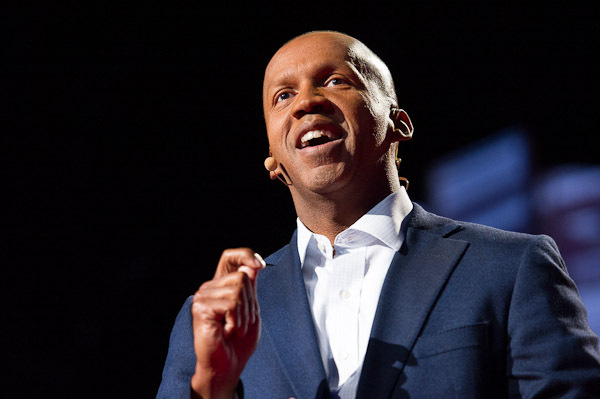 "Racial terror lynching was a national problem," said EJI Director Bryan Stevenson (pictured). More than six million African American migrants fled "as refugees and exiles from terror in the American South," but the racial terror often followed them. "Hundreds of lynchings took place outside the American South," he said. The original EJI lynching report documented more than 4000 racial terror lynchings in 12 Southern states, and described the historical link between lynching and the modern-day death penalty. The new edition tracks lynchings in eight states in the Midwest and Upper South: Oklahoma (76), Missouri (60), Illinois (56), West Virginia (35), Maryland (28), Kansas (19), Indiana (18), and Ohio (15). The pattern of lynchings suggests a continuing link to modern capital punishment: Oklahoma and Missouri rank second and fifth in the number of executions in the U.S. in the last fifty years and have executed far more prisoners than any other states outside the Deep South. Working with Google, EJI has created an interactive website providing audio, video, and maps to tell the stories of the victims of racial terror and illuminate the geographic patterns of lynching. “These lynchings were intentionally barbaric, torturous, gruesome,” Stevenson said, and often whole communities actively participated in the public spectacle. "Our collective failure to acknowledge this history has created a contemporary political culture that doesn't adequately value the victimization of people of color today," he said. In an interview with The Washington Post, Stevenson explained how the legacy of lynching affects today's criminal justice system, and the death penalty in particular. When the U.S. Supreme Court upheld capital punishment in 1976, Justice Potter Stewart justified capital punishment as an advance from "self-help, vigilante justice, and lynch law." “They started trying people inside." Stevenson said, "and they had the same kind of unreliable verdicts and the same kind of death sentencing and the same kind of abuse of people of color in the courtroom that existed outside the courthouse during the lynching era."